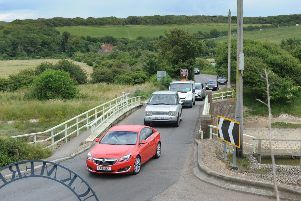 A road just outside Newhaven has been blocked both ways by a road traffic collision, according to traffic reports. The collision is reported to have happened in Piddinghoe Road, close to the Piddinghoe Farm Shop. The road has been blocked and there are reports of queuing traffic in the area. The collision was first reported at 3.08pm.